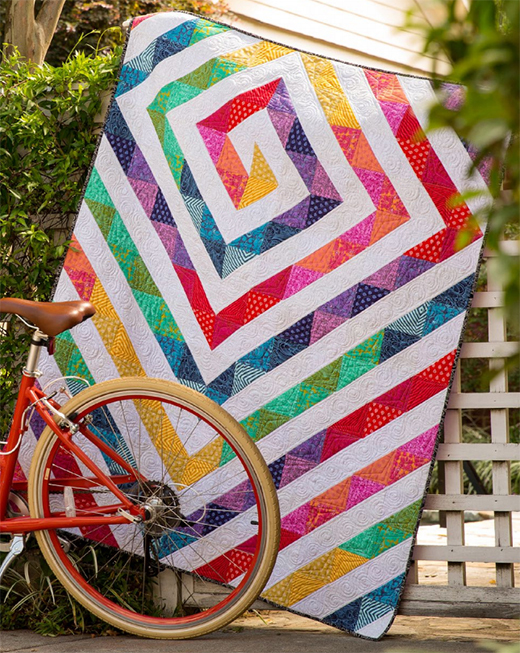 A beautiful maze of color swirls throughout this rainbow-inspired quilt, and the best part? It’s all made from a single block, so rev up your half-square triangle skills. This Racetrack Quilt Designed by Tula Pink, The pattern is available for Free.